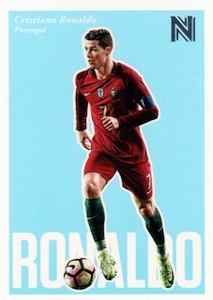 2017 Panini Nobility Soccer is not just a debut for the sport as the brand is also making its initial foray into the hobby. Built for fairly quick breaks, the two-card packs each contain one autograph. 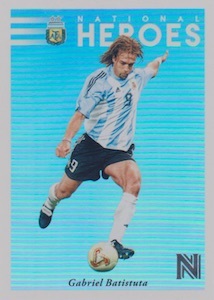 Another premium option in the growing stable of Panini Soccer releases, Nobility revisits retired players largely from a national team angle. However, there are also a handful of current superstars like Lionel Messi and Cristiano Ronaldo. 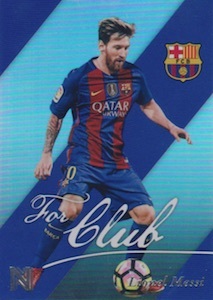 Covering 100 cards, the main set in the 2017 Panini Nobility Soccer checklist is split between 80 base cards and 20 base SP cards (#81-100). While the entire lineup is largely geared to past legends, the very biggest names of today and yesterday are found in the short print subset. 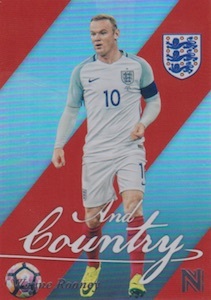 All 100 base cards are also treated to the following parallels: Red (#/199), Blue (#/99), Orange (#/49), Bronze (#/20), Gold (#/10) and Platinum (1/1). Each box should total four parallels. In addition, inserts combine to fall two per pack. Among the choices are the For Club inserts, which naturally stick with a player's professional affiliation. And Country is an accompanying choice that is based on the specific national team for the player. 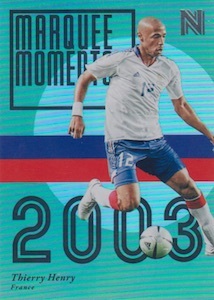 Highlighting key performances, the Marquee Moments set also has Gold (#/10) and Platinum (1/1) parallels. 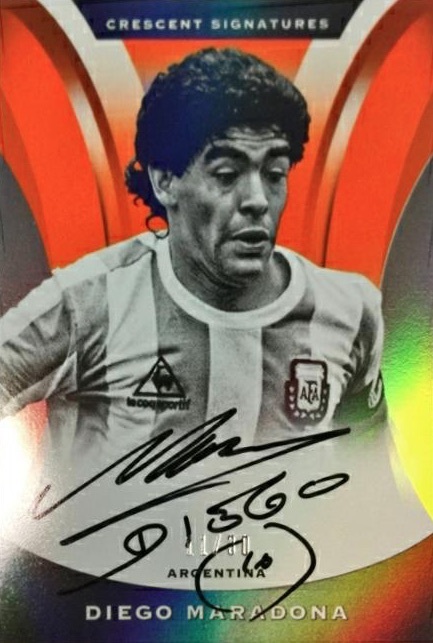 Led by many on-card signatures from former players, the Crescent Signatures line provides the bulk of the autographs in 2017 Panini Nobility Soccer. Iconic Signatures offers another choice, mixing past and present names. Both signed inserts have a few levels of parallels. Finally, a special case hit in 2017 Panini Nobility Soccer involves the legendary Pele. The vertical Pele Commemorative cards feature a match-worn Santos jersey piece while the horizontal layout adds an on-card signature along with the relic. Cards #81 - #100 are short prints that average 1:5 packs. PARALLEL CARDS: Red #/199, Blue #/99, Orange #/75, Bronze #/20, Gold #/10, Platinum 1/1. PARALLEL CARDS: Bronze #/20, Gold #/10, Platinum 1/1. 10 cards. 1 per case. Shop on eBay. Excellent set of key stars of the 70’s 80’s and 90’s …. 2017 18 PANINI NOBILITY SOCCER HOBBY BOX - 2 AUTOS PER BOX! 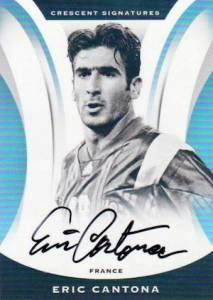 2017 18 Panini Nobility Soccer Factory Sealed HOBBY Box-2 AUTOGRAPHS! Loaded!